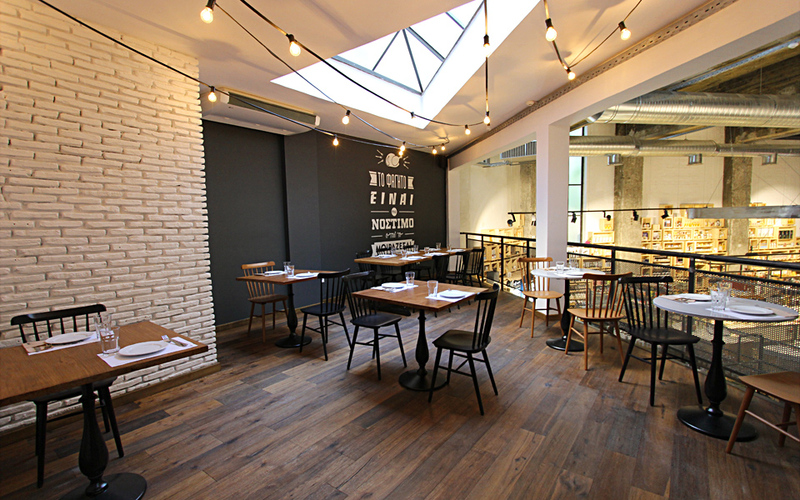 Ergon Agora takes the successful combination of a delicatessen/meze taverna to a new level. This combination of delicatessen / meze tavern raises the bar. Can food change your mood? This is the question we pondered one melancholy afternoon in Thessaloniki in between recovering from a cold and waiting for a work-related appointment. With a little time on our hands, we headed to Ergon Agora. 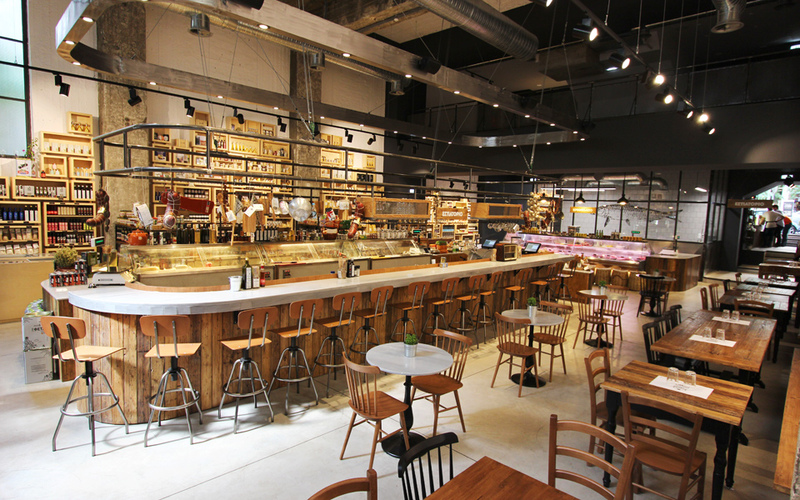 The new store of the well-known chain by brothers Thomas and George Douzis takes the successful combination of a delicatessen/meze taverna to a new level. Apart from the delicatessen, meat, fish, vegetables and bread are also for sale here and form the basis for the menu’s ingredients. On the afternoon that we visited, we sat at a little table on the sidewalk, where we enjoyed a truly wonderful meal. We started with the politiki lakerda, a pickled bonito dish which originated in the Ottoman Empire, and smoked herring, just to get our appetites going. The Feneos fava with smoked sardines and Halkidiki sea fennel was velvety and very well balanced, despite the slightly salty accompaniments, while the octopus carpaccio with lentil salad and Florina peppers with olive oil and lemon was an exciting combination. The wonderful meze will definitely make you want to come back. The green salad with mint, tomato, lemon and Cypriot pita is also good and the traditional Cretan striftaria pasta with cured pork (apaki), sundried tomato, Metsovo butter and egg is extravagant and delicious. So going back to the original question – we don’t know if food can change your mood, but good food certainly can.